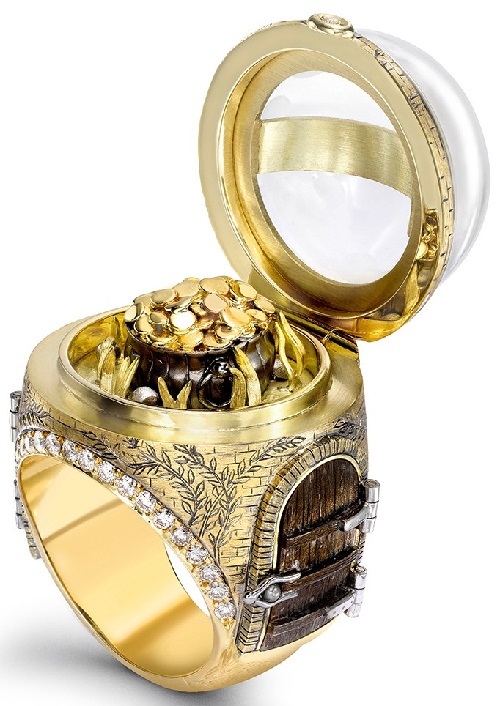 The Hermitage Ring. 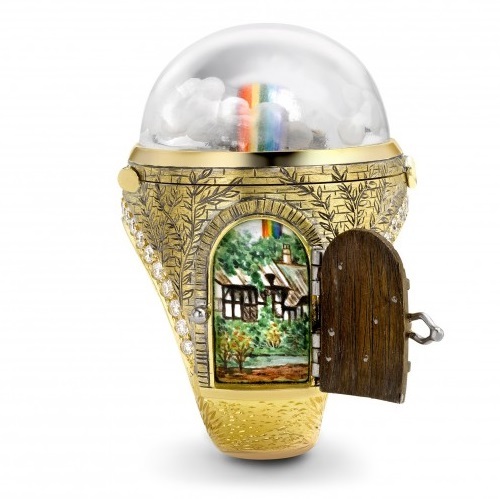 Secret door rings by Theo Fennell. 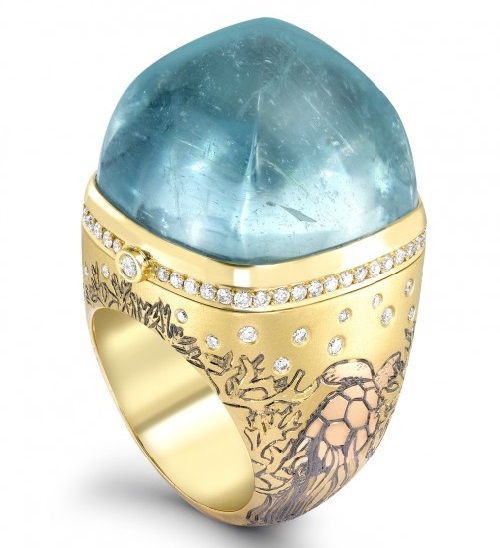 Unique Hermitage Ring takes its inspiration from the Aquamarine’s beautiful reflections and the way it mimics the sheen of the warm, shallow, tropical waters. 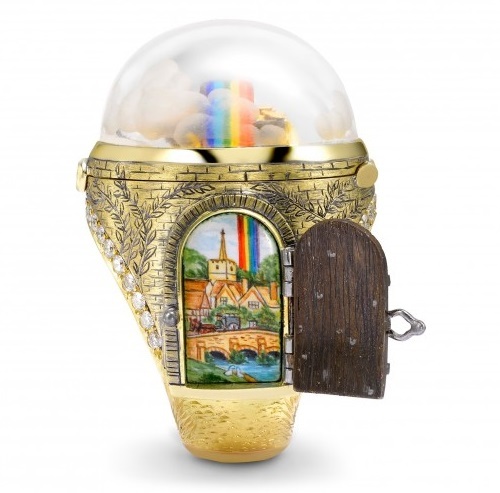 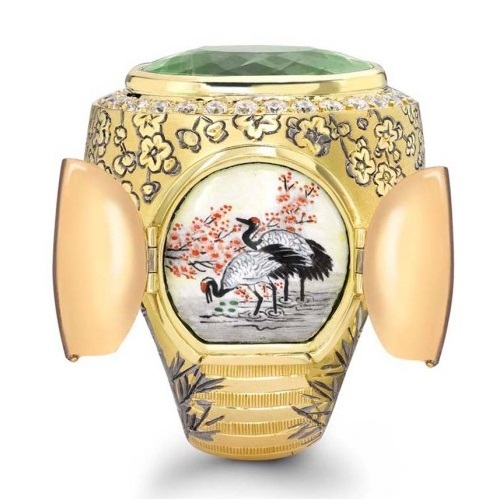 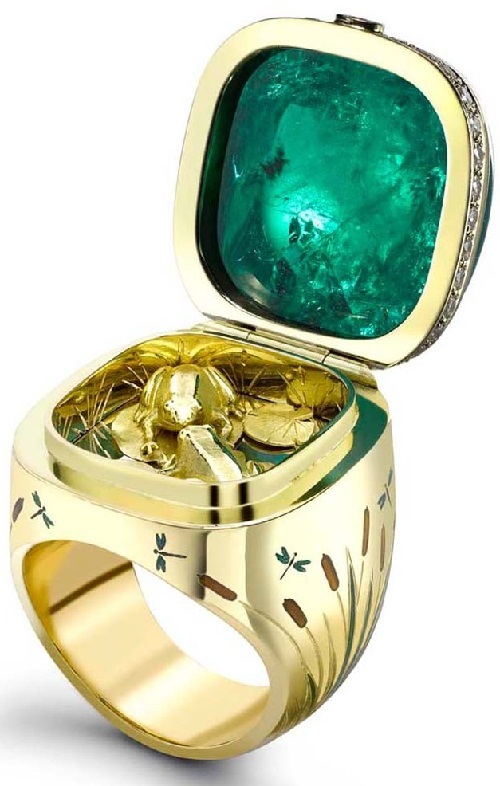 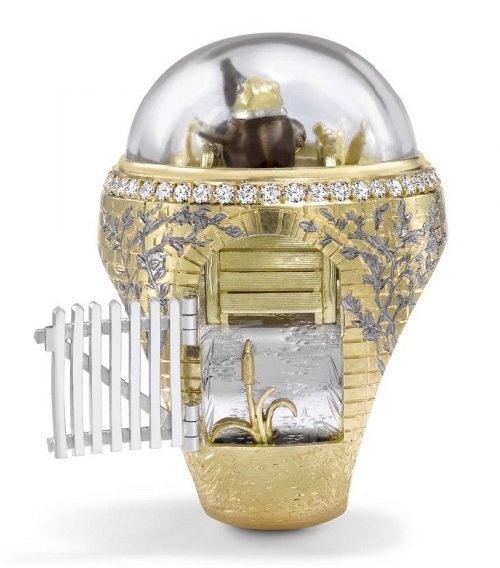 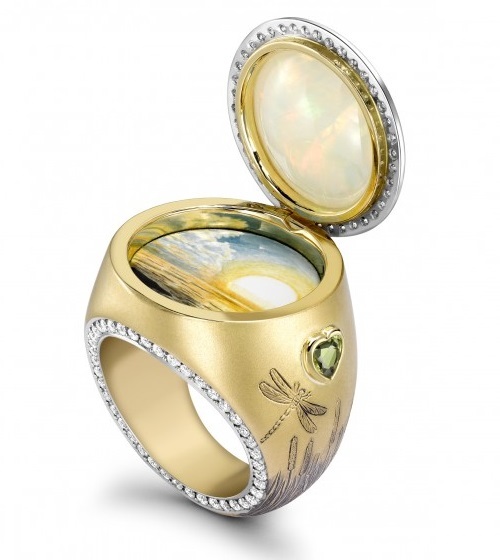 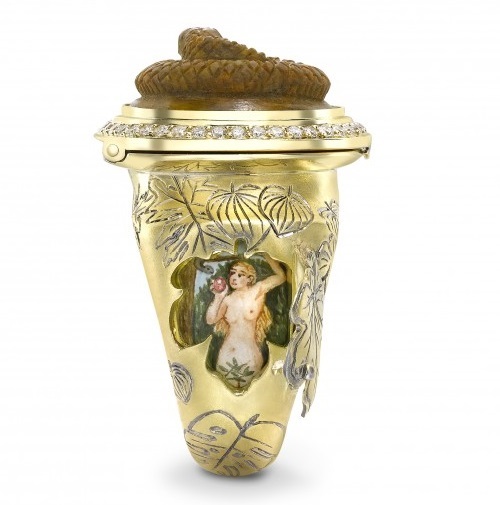 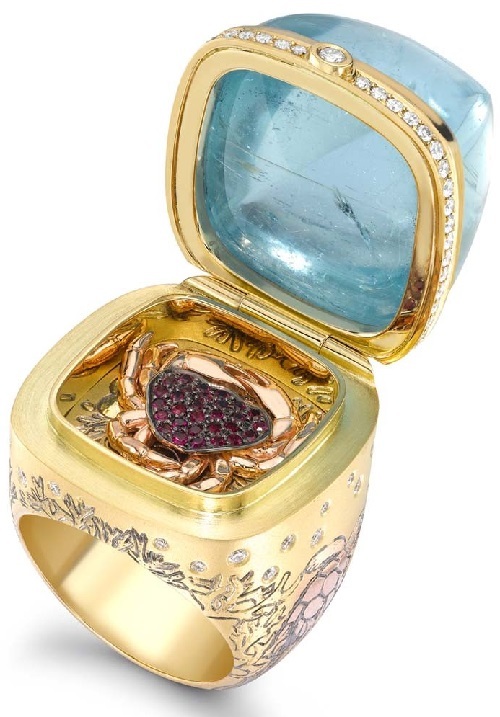 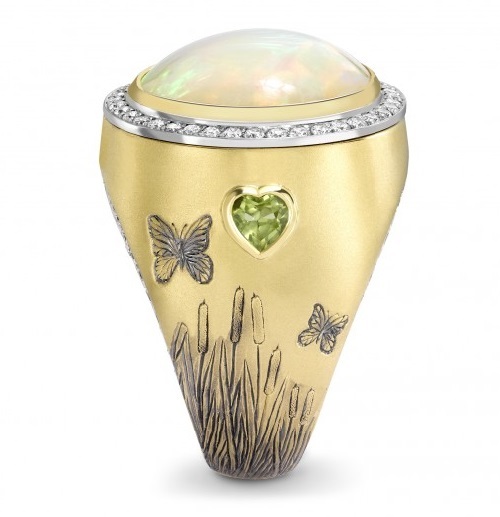 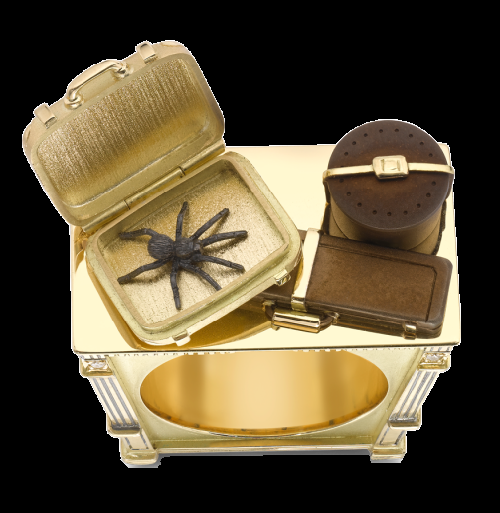 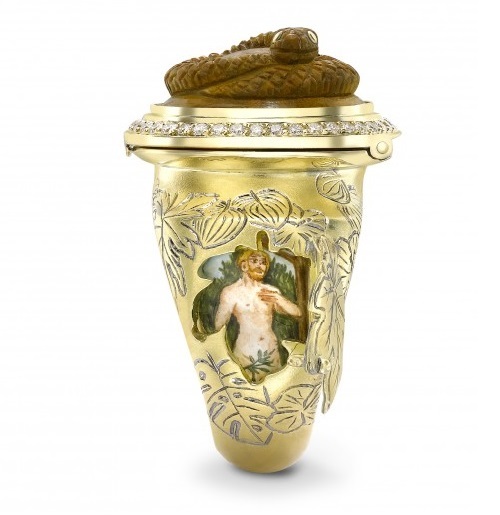 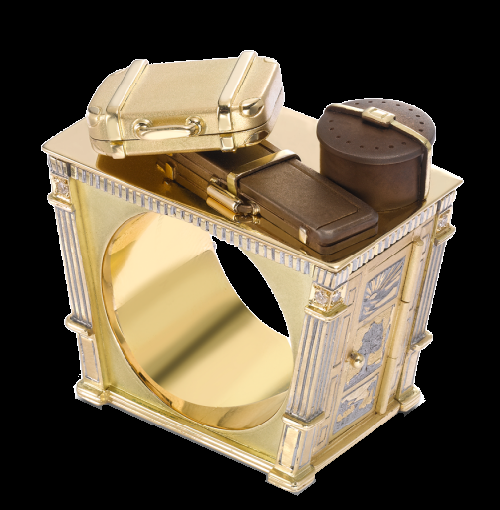 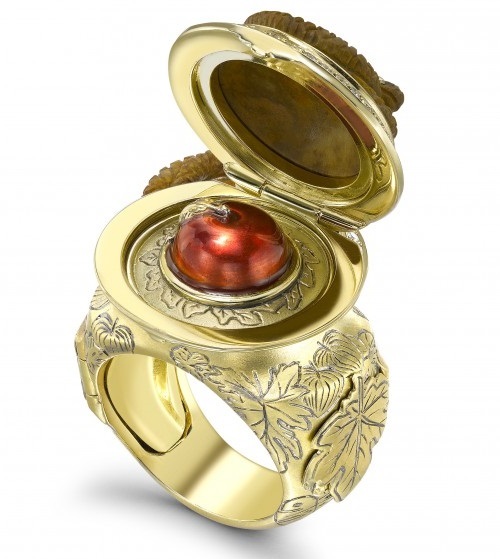 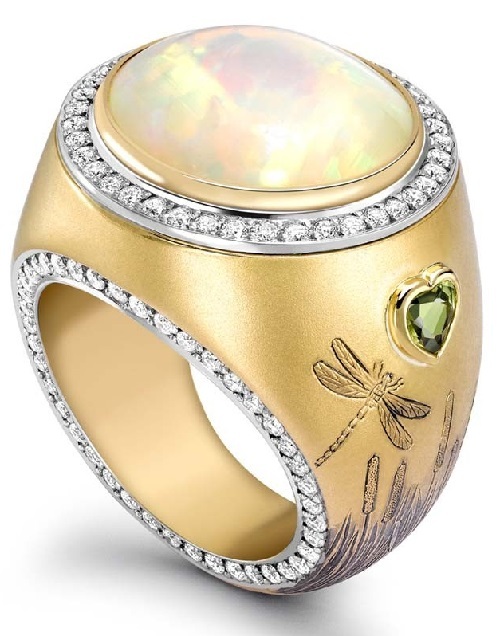 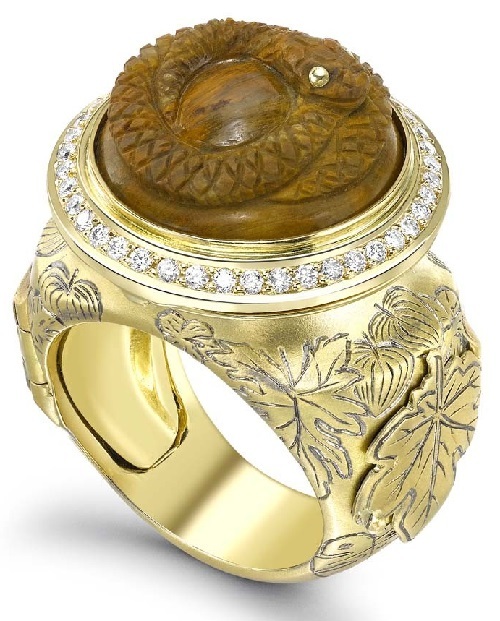 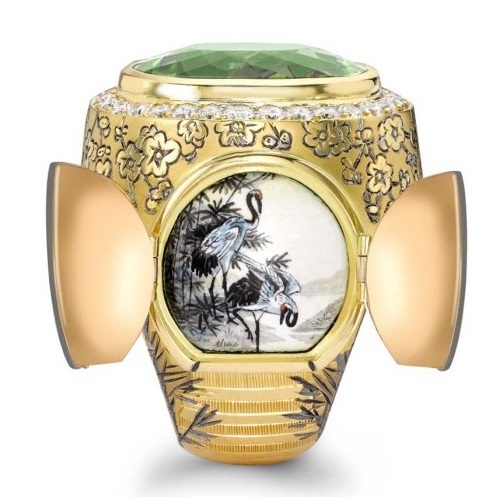 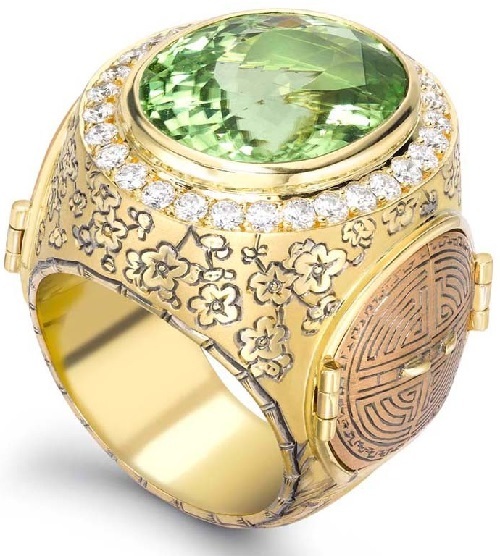 British jeweler Theo Fennell and his company released a series of amazing jewelry rings with “secret doors”. 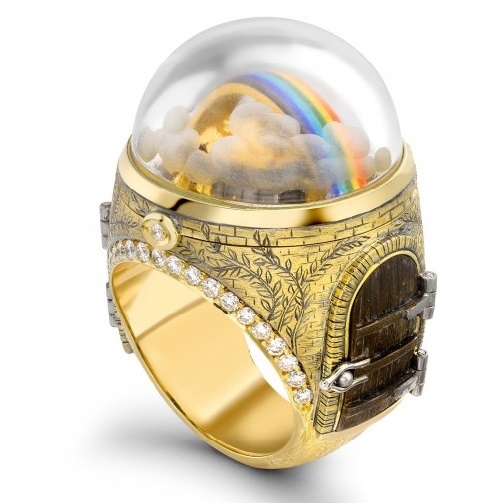 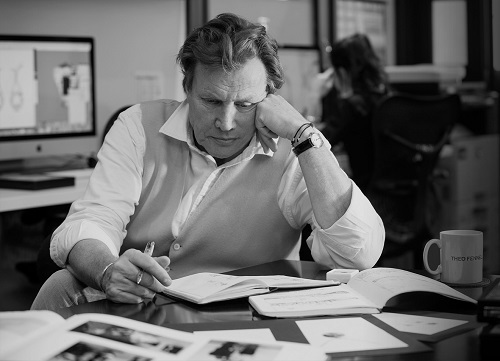 Theo Fennell jewellery is known worldwide for his unconventional jewelry and accessories. 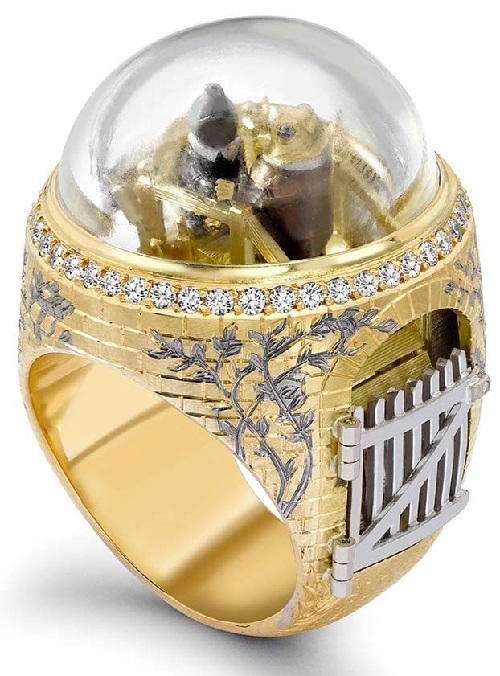 At this time, the master was inspired by well-known fairy tales and popular novels of world literature. 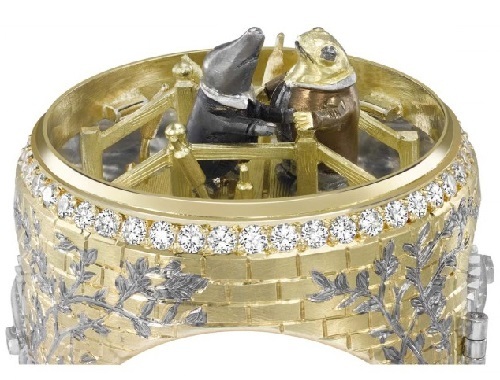 Each ring of the collection – a fantastic miniature with its own special story. 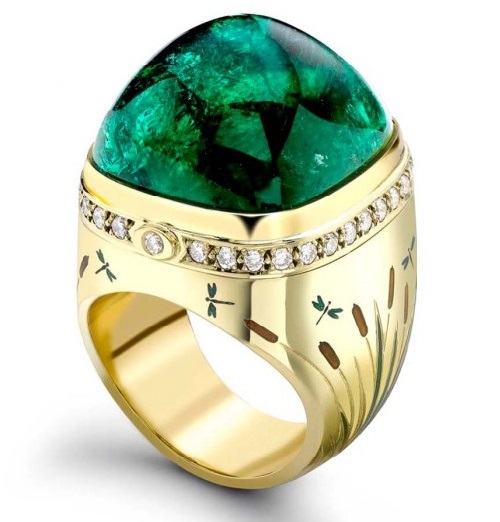 For example, in the ring design can be easily find emerald from “The Wizard of Oz”, or cabinet of “The Chronicles of Narnia.” The Rings are truly amazing, unusual and fabulous, as well, and their price – to purchase these works of jewelry is possible for 30 thousand dollars.